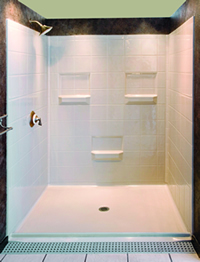 We specialize in handicapped bathroom remodeling modifications such as walk-in bathtubs, accessible showers and Safeway Safety Steps,™ among many other unique solutions, offering you independence, convenience and freedom of movement when using the bathroom facilities in your home. With safety as our priority, we create innovative solutions to fit your needs. As full service plumbing specialists, we can remove an old bathtub and replace it with the new shower you’ve always wanted. With over 400 models to choose from, we can accommodate any size space in as little as one to two days! Give us a call at 920-636-5450 today for a free in-home estimate. 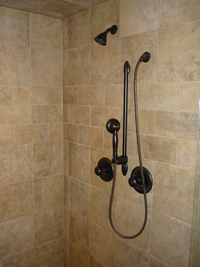 For anyone confined to a wheelchair, a roll-in shower provides independence and freedom. We have many different models to accommodate your existing space. Sinks can be installed at any height that works for you. 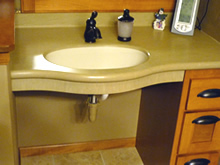 Base cabinets can be removed, a wall hung sink can be installed for wheel chair access or if you just need more room, a pedestal sink can be a great option as well. Wrist lever, single handle, and new technology touch action faucets may be installed along with anti-scald that limits the temperature coming out of the faucet. 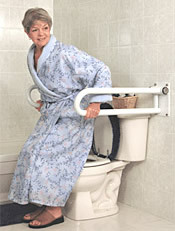 There are many grab bars that vary in size, color, and finish; some even have unique designs for specific applications. Let us help you add stability and style to your bathroom with the installation of one or more grab bars! Did you know the standard toilet height is just 15-16 inches? Now you can replace your old toilet fixture with a comfort height toilet ranging from 18-19 inches (the height of a standard chair) depending on the model and style. And if need be, we can go up from there. A special lift chair is also available to assist in the lifting and lowering of an individual. 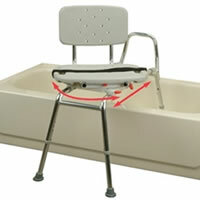 Transfer benches make getting into a tub easier and safer; just sit down, slide over, and put your legs into the tub. All of our showers or tubs can be paired with handheld shower units and seats putting the controls all within reach for a more desirable bathing experience. There’s no need to reach for anything; just sit down, relax, and bathe. Service Areas: We service all of the Fox Valley area and beyond including Appleton WI, Neenah, Menasha, Oshkosh Green Bay, Manitowoc and all areas in between.